Can I still exercise if I have hypertension? Stretching SAUncategorizedCan I still exercise if I have hypertension? 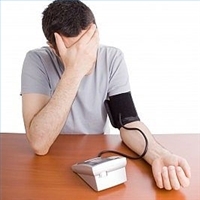 Hypertension, or also known as High blood pressure is a very common problem in our modern day society. Individuals with hypertension may require special considerations for exercise testing and / or prescription. There are two distinctive categories of hypertension known as the primary and secondary category. The primary category entails all the causes of hypertension that is unknown and the secondary category has identifiable endocrine or structural disorders. Without going too deep into the medical genre you should understand that approximately 90% of hypertension is primary of nature. Within this category we have mild, moderate, moderate to severe and uncontrolled groups. If your blood pressure is too high, your probability of stroke, coronary artery disease and left ventricular hypertrophy is much higher than the norm. Your heart is much like a modern day pump, and as with a watering system there are two major factors that will determine your output. It is the strength of the pump called “cardiac output” and the total resistance accumulated in all the watering pipes called “peripheral resistance”. Initial treatment for those who have mild to moderate blood pressure include weight management, exercise and dietary restrictions on sodium and dealing with different kinds of food intolerance. When you are in the more severe categories, medication and medical advice is highly recommended, however, in most cases exercise will still be something that is very important in regaining your initial health. Always make sure too see a exercise specialist regarding this matter. The type of exercise and the intensity of it can play a big role. Remember that the heart is already under strain, and straining it further the wrong way can have serious consequences. Your frequency of exercise should be at least 4 times per week, with daily exercise duration of 30-60 minutes. Gradually increase the time of exercise as you progress. Always make sure that the intensity of your exercises is at the lower end of your heart rate zones (40-65%). High intensity exercise should be discouraged, and doing allot of dynamic and active isolated stretching exercise will help to increase blood flow and deep capillary blood flow, causing less peripheral resistance. Stay away from the gym, working with heavy weights will only make things worse. Take care when you’re already on medication, prescribed anti-hypertensive medication reduce total peripheral resistance by vasodilation (opening or widening of blood vessels) and this can cause post-exercise hypo tension. To prevent this never go to hard! keep the intensity low, and make sure you work in a long cool down period after exercise, including active isolated stretching.